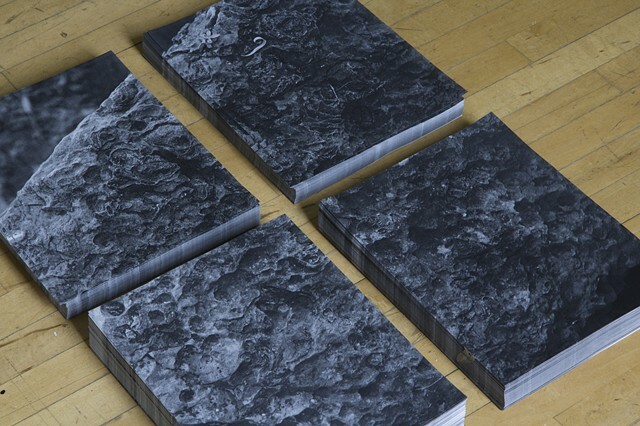 Eight piles of photocopies of rocks from the same island featured in the video. The image is of fossils that are the clue to understanding the geological and hidden time scale present on the land mass. The piles are gallery takeaways, and therefore descended throughout the exhibition. The piles mimic the window behind, the only one in the space.